The Financial Times has a very interesting shockwave application showing how the top banks by market capitalization have changed for the last few years. You can clearly see the Goldman Sacks ascension and the decline of the American banks. “Bonds are not a good place to invest in,” Rogers said at a conference in Kuala Lumpur today. “You should own commodities because that’s your only refuge” whether it’s silver or rice, said Rogers, who predicted the start of the global commodities rally in 1999. The laser-like focus on the global financial crisis means investors are back in contingency planning mode while the tools to fend off fiscal Armageddon are again being sharpened by governments and policy makers around the world. But, at times like these, it is important to understand where the real economic power resides, and that is with the people on Main Street. In 2001 and 2003, the GOP Congress enacted several tax cuts for investors, small business owners, and families. These will all expire on January 1, 2011: The top income tax rate will rise from 35 to 39.6 percent (this is also the rate at which two-thirds of small business profits are taxed). The lowest rate will rise from 10 to 15 percent. All the rates in between will also rise. Itemized deductions and personal exemptions will again phase out, which has the same mathematical effect as higher marginal tax rates. There’s little that shouts “seriously rich” as much as a little island in the sun to call your own. For Sir Richard Branson it is Neckar in the Caribbean, the billionaire Barclay brothers prefer Brecqhou in the Channel Islands, while Aristotle Onassis married Jackie Kennedy on Skorpios, his Greek hideway. Earlier this year, Russell warned that the stock market was once again becoming grossly overvalued despite its relentless new highs. He has maintained that the bear market never ended and that the world is far too indebted to exit the bear market. He also believes the bear will not end until all fiat currencies have failed. The US remained the world’s biggest manufacturing nation by output last year, but is poised to relinquish this slot in 2011 to China – thus ending a 110-year run as the number one country in factory production. An investment letter that called the Crash of 2008 said that this would be a bad year — and it now says it will get worse. Food commodity prices will increase more than previously expected in the next decade because of rising energy prices and developing countries’ rapid growth, two leading organisations said on Tuesday, worsening the outlook for global food security. 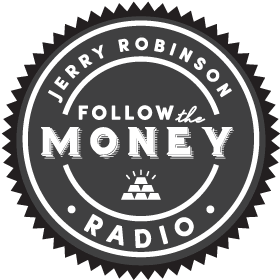 FTMWeekly Financial Radio Show: Is It Time to Buy the Euro? The Dow ended down 115.48 points, or 1.2%, at a seven-month low of 9816.49 and below 9869.62, its low-point of the May 6 slide. That day, buyers rushed into the market at that level, helping pare a 1,000-point drop to a decline of 347.80 points. Some of the world’s richest central banks will not stop investing in the euro, supporting its reserve status, despite the sovereign debt crisis hammering the euro zone’s currency, government sources said. The Obama administration is blocking all new offshore drilling in the Gulf of Mexico, a day after regulators approved a new permit for drilling in shallow water.